The Township Highway Commissioner or Road District Commissioner has all the road district roads under his jurisdiction except those inside incorporated cities and villages. He is responsible for their construction and maintenance to the extent that the electors provide him with the funds for such. The Highway commissioner oversees construction, maintenance and repair and is responsible for the construction, maintenance and repair of roads within the district, let contracts, employ labor and purchase material and machinery. The Highway Commissioner is also responsible for the Township building and maintenance of the building and surrounding property. As of January 1, 1996 all operators of vehicles employed by local governments required to hold a Commercial Drivers License (CDL) are subject to random drug and alcohol testing by approved substance abuse professionals. This includes full and part time employees and elected officials. The Highway Department hours are Monday through Thursday, 7:00 am to 5:00 pm DeKalb Township Highway Department employs two full time employees, Dan Dailey and Jamie Poff. All of our roads are paved and there are 3.5 miles of seal coated roads. We maintain 27 miles of road. Maintenance includes snowplowing, ice control, mowing, and trash pick-up. Plowing and ice control begins at 4:00 am and continues in snowy conditions until 10:00 pm or 11:00 pm. One truck will plow Annie Glidden from Taylor Street to the Tollway throughout the evening. At 4:00 am all trucks will resume their plowing and ice control duties. No salt is used in these areas, unless very necessary, as it stops the snow on the roadway and creates a slush and ice build-up. Plowing is done. Forms when temperatures drop to 10 above zero or Lower. Salt is ineffective at these temperatures. Always use extreme caution when around snow removal equipment. Always allow them plenty of space when following or when approaching an intersection being cleaned by equipment. If you follow too close the driver may not see you. 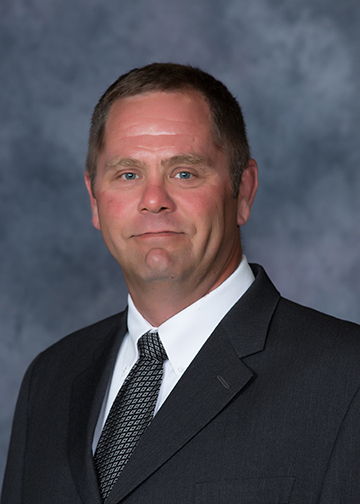 If you have any questions or concerns about the DeKalb Township Highway Department please call Highway Commissioner Craig Smith at (815) 758-5658.